SAN FERNANDO, CA – After 7 years, the FDA has finally approved the experiment on marijuana for veterans with PTSD. The unstinting campaigning by US veterans and activists has become successful after they got the FDA’s approval. For 7 years, they fought for the allowing of medical experiments on cannabis. 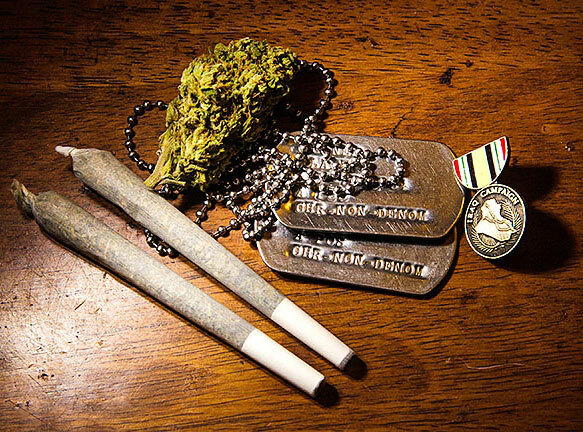 The enrollment started in February on how marijuana helps veterans suffering from PTSD. After 2 months, researchers have finally found their last participant, according to Tonic for Vice. Based on their research, 11 to 20 percent of US soldiers who joined the battles in Iraq and Afghanistan have PTSD. While talk therapy treatment is the primary medication for PTSD, many psychiatrists admit that it doesn’t work for all patients. Meanwhile, former US troopers who self-medicated using marijuana shows fewer symptoms of PTSD. A former sniper for the Marine Corps, Robert Pickering told his story on Tonic. According to him, after he went home from the war, he lived in his parents’ basement for three years. He admitted that he was a mess. During this time, he drank alcohol and smoked weed by himself. Surprisingly, vaping pot worked for him; it also worked for his colleagues. Since then, he has become an advocate of medical cannabis. He believes that marijuana can change many PTSD patients. Thus, he challenged the government to make an investigation of medical marijuana for veterans with PTSD. The federal law defines cannabis as a Schedule I substance. This means two things. First, cannabis companies will have a tough time in getting financial assistance from banks. Second, this drug is unacceptable for medical use. Thus, some ex-soldiers risk losing their disability payments. They have to go to the local Veterans Affairs hospital just to get weed. But they were not alone in the battle of their advocacy. 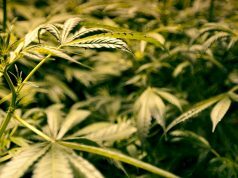 The Multidisciplinary Association for Psychedelic Studies also encouraged the FDA to make a trial of medical marijuana to collect data. The reason they encouraged the investigation is to know the cannabis use disorder, the addictive content of the drug, and its side effects. 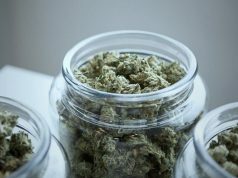 While weed isn’t a permanent solution, researchers hope that marijuana use for veterans will help in managing PTSD symptoms. Aside from that, there’s also evidence, showing that cannabis can alleviate the pain of cancer patients. The US government already recognized its benefits on cancer patients. A few years ago, health researchers made an experiment on how it fights cancer. They used mice to test their hypothesis. 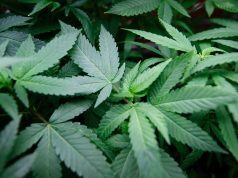 After the test, they finally concluded that marijuana could kill cancer cells. Moreover, they found out that it can boost the efficacy of chemotherapy without killing normal and healthy cells. They conducted this experiment with the help of cannabinoids, an active agent found in marijuana. This ingredient blocks blood vessels that triggers the tumors to increase its size. This experiment and the upcoming trial are huge steps for both patients and medical marijuana activists. Should the investigation succeed, weed for veterans with PTSD could be available in the market in 6 years. Hence, veterans will no longer need to hide from the government or risk their pension if they want to cure their sickness.